If money has value, wouldn’t you want to know what you’re paying for when you purchase something? Money can drive our purchasing decisions more than any other factor. Some people let money be the only deciding factor on what they purchase. These people are under the impression that if something is more expensive, then they are wasting their money. In other words, if they can get something for cheaper, they’ll always go for it. In some situations that may be the smarter route to take. However, for others – such as the case for microstock images – cheaper isn’t necessarily better. The Adobe has a rich history of catering to creative professionals over marketing professionals. It is this line of thinking that has kept them at the head of the digital media manipulation industry for years. Their most famous application, Photoshop, has no equal. In fact, before Adobe took their services to the cloud, Photoshop could easily set someone back well over $1000. Thanks to their Creative Cloud, a subscription to a fully featured version of Photoshop will set you back a mere $20 per month. A Creative Cloud membership will give you access to not only Adobe Stock but their entire lineup of digital manipulation software. In December 2014, Adobe purchased Fotolia for $800 million in cash. 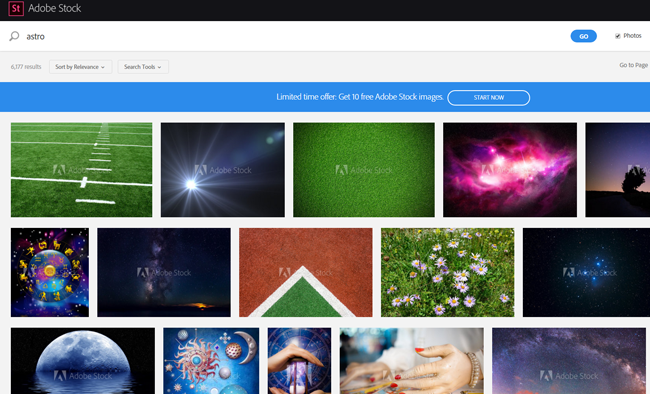 Six months later, in June 2015, Adobe launched their brand-new microstock imaging service, Adobe Stock (click here for review). They decided not to dissolve Fotolia and allow it to continue operating as its own, separate business entity. The two libraries are one and the same. In fact, it is from the library over at Fotolia that enabled Adobe to launch a service with over 40 million images from day one. Just because Adobe has a history of catering to creative professionals does not mean that they are ousting or ostracizing the marketing professional. Adobe is well aware that marketing is both a science and an art. As an art, creative professionals must use their creative flair to create marketing campaigns with the right images and message. As a science, every marketing campaign is scrutinized under a slew of metrics that enable the marketer to look at the data and tweak their campaigns, making each one better and better. Marketing is one of the few industries wherein people get better at it as time progresses. Adobe has three separate subscription tiers for you to choose from. The first one is synonymous with paying for an image on demand. If you needed an individual image, you could get that one image for $9.99. For about half that price, the next tier up will allow you to get 10 images for $49.99 per month. If you added to a Creative Cloud subscription and add a title from their software lineup to the subscription, such as Photoshop, you could get these same 10 images for mere $29.99 per month. Finally, if you have a need for a large amount of images per month – as a marketing agency might – you can get up to 750 images for mere $199.99 per month. It might seem like a lot of money up front, but each image will only set you back by $.26. In addition to the standard royalty-free license, Adobe offers extended licenses. These licenses extend the capabilities of the royalty-free license and allow you to use the image in ways that you couldn’t before legally. Typical examples include calendars, T-shirts, holiday cards and find more. When you add Adobe Stock to your Creative Cloud subscription, you’re paying for the integration inconvenience of Adobe Stock. You see, before Adobe Stock, you had to either shoot your own images or subscribe to a different microstock agency and import the photos into Photoshop to manipulate them. With the way that Adobe has integrated the Adobe Stock into their Creative Cloud lineup, you can now browse, purchase and license the images from directly within the app. Now, you no longer need to leave the app to go find the image you’re looking for. Everything is done from directly within the Creative Cloud software. I’m going to take an educated guess and assume that the majority of people who subscribe to microstock agencies also subscribe to Photoshop. 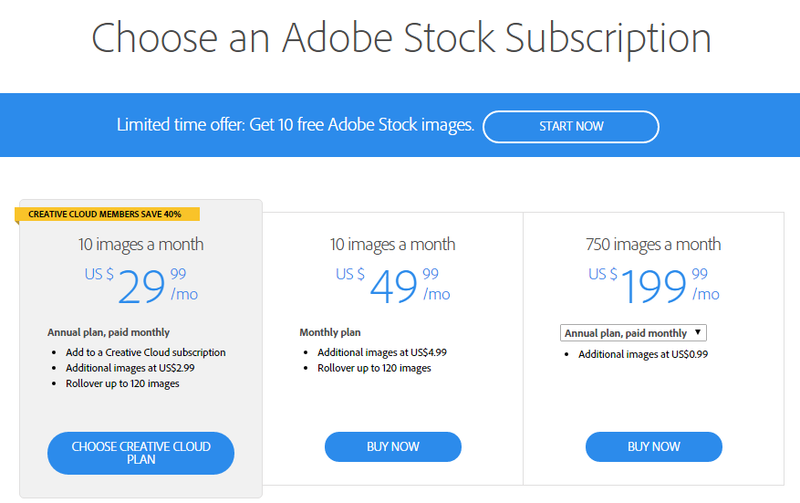 By adding Adobe Stock to your Photoshop subscription, you can get a deep discount on the images. If you look at the pricing model, you can get one image for $10. At the next level, you can get 10 images for $50, or half the price of an individual image. However, if you were to add Adobe Stock to your current Creative Cloud subscription, you can get the same 10 images for $30 per month. That’s a mere three dollars per image, offering a steep discount over individual images.